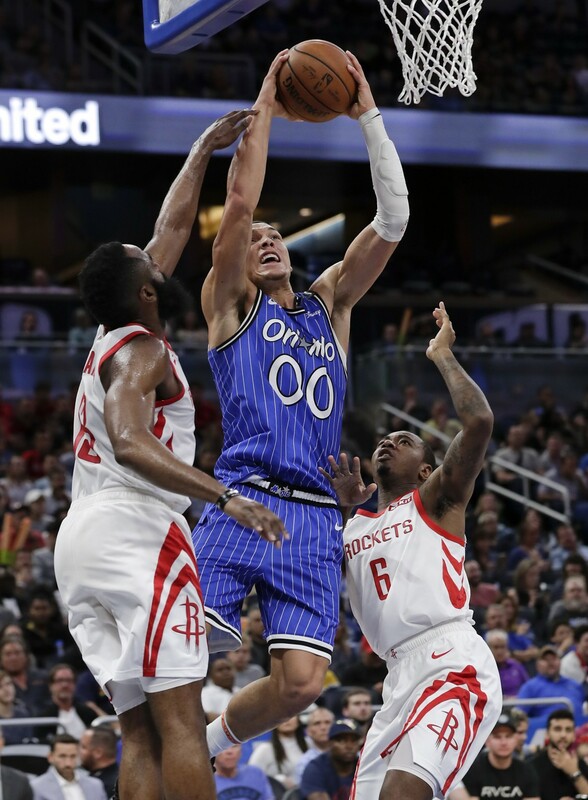 ORLANDO (AP) — Nikola Vucevic and Aaron Gordon each scored 22 points, Evan Fournier had 17 and the Orlando Magic rallied past the injury-depleted Houston Rockets 116-109 on Sunday night. Houston's James Harden scored 38 points to push his run of 30-point games to 16, but at a high price. The Rockets star was just 1 for 17 on 3-pointers. He had 12 assists and nine rebounds. 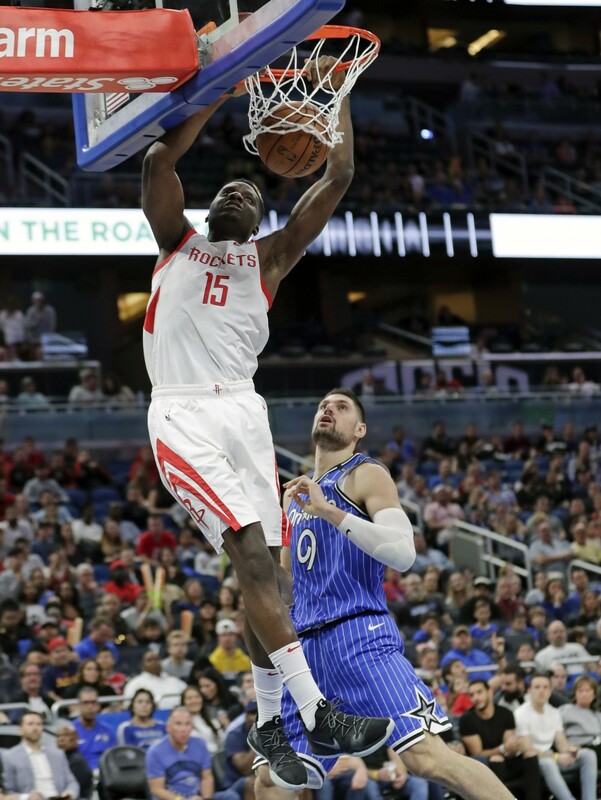 Austin Rivers scored 25 points and Clint Capela 17 points and 10 rebounds for Houston, which lost for only the fourth time in its last 17 games. 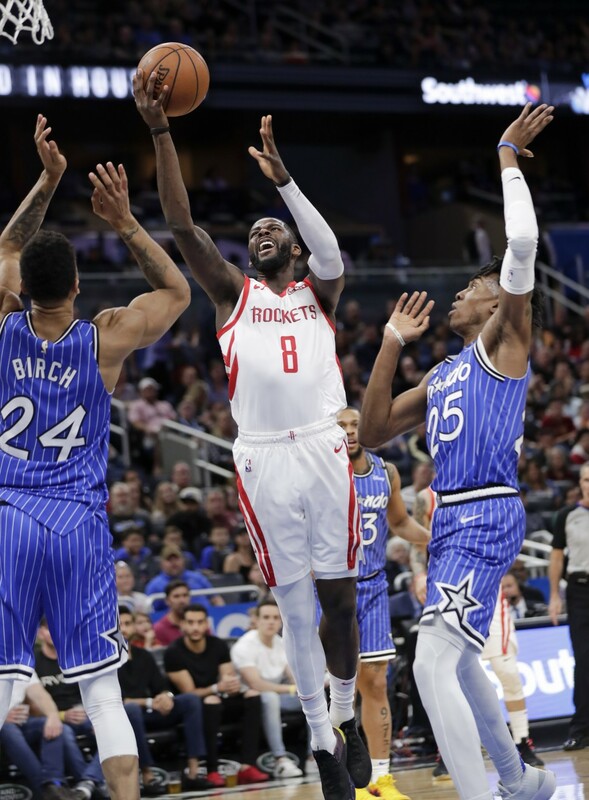 Terrence Ross had 17 points for Orlando, including six during a 16-2 run late in the fourth quarter when the Magic put away Houston. 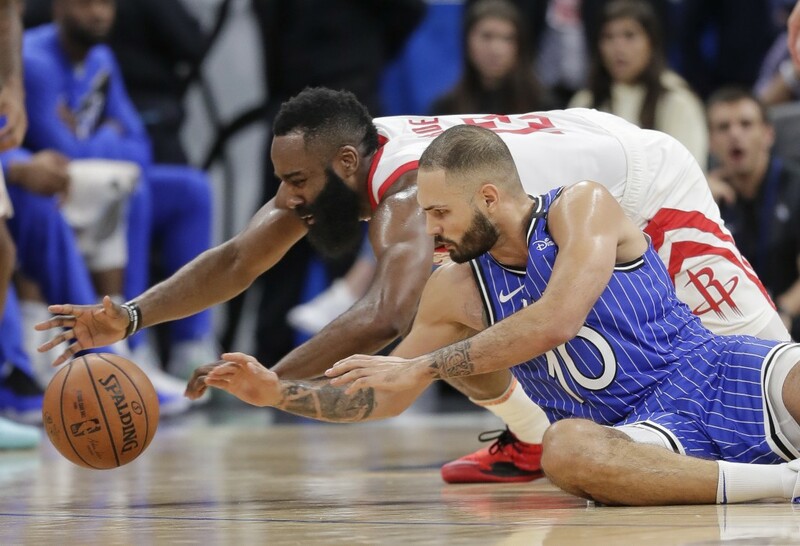 With Harden on the bench for a brief rest, the Rockets used a 10-2 run to start the fourth period and grab a 98-88 lead, but the Magic passed them when Ross followed a three-point play with a 3-pointer to make it 106-105 with 3:11 left. Fournier and D.J. Augustin followed with back-to-back 3-pointers and Vucevic hit a short jump hook that finished a 16-2 run that gave the Magic a 114-107 lead with 1:21 left in the game. Harden nearly had a triple-double at halftime with 16 points, nine assists and seven rebounds. Houston's first half was almost exclusively Harden's dribbling behind the top of the 3-point line and taking step-back 3-pointers or driving to the basket for layups or lobs to Capela. Harden was 1 for 9 from 3-point land. Four of his assists were alley-oops to Capela for dunks. 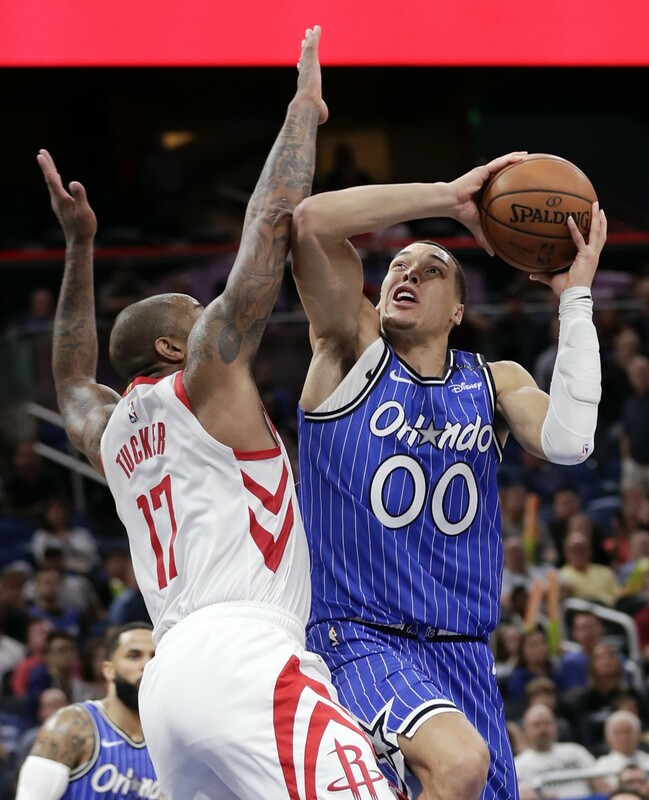 Orlando didn't have the one-man show Houston did, but the Magic got scoring from all nine players and were only down 59-52 at halftime. Rockets: Brandon Knight (knee) and Nene (rested because of back-to-back) joined Chris Paul (hamstring) and Eric Gordon (knee) on Houston's injured list. . Houston is averaging nearly 10 points more in its last 16 games than it did in its first 16 games. (116.2 vs. 106.6) . James Harden had his string of five or more 3-pointers in a game end at 12. Magic: Rookie C Mo Bamba missed his third straight game with a foot injury. . Orlando is 10-8 in back-to-back situations, but only 3-7 in the second game. Rockets: Houston heads home to play Memphis in the second game of a back-to-back. Magic: Travel to Detroit Wednesday to play the Pistons.